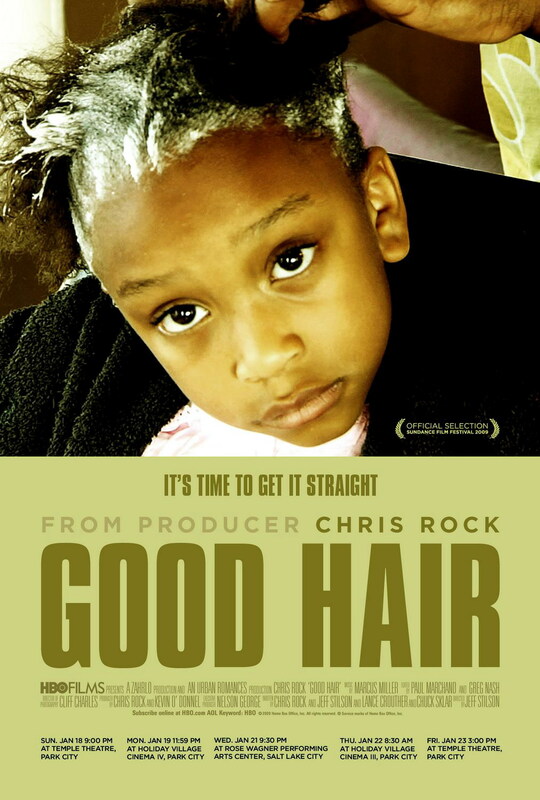 Good Hair is a comedy-documentary starring funnyman Chris Rock (EVERYBODY HATES CHRIS) that brings African-American hairstyles to the fore. When Chris’s daughter, Lola, came up to him crying and asked, “Daddy, how come I don’t have good hair?” the dazed comic committed himself to finding out who had put that question into his little girl's head. He began searching high and low through black culture to explore the multi-billion-dollar styling industry surrounding African-American hairstyles. Discussing black celebrities’ personal experiences with their hair and the significant role that hair plays within the black community, GOOD HAIR is both an entertaining and eye-opening documentary that extracts cultural heritage from the most obvious if unlikely of roots.